Unless you have valid, CONFIRMED information regarding the Land Before Time, do not start Season 2 topics saying the series will resume or episode titles or any unofficial garbage like that. This only confuses people. As of July 5, 2009 we know that the LBT offices in Universal are CLOSED and there is no new LBT material being made or produced at this present time. This means there is no season 2 and no LBT 14. Your post will be removed immediately if information is posted from these sites. Nice post, Thanks for share this lovely information. Yeah, that's a good way to do things. What's the situation now with the offices? I don't expect anymore TV series episodes (and have no idea WHY people on the wiki are thinking that because Sprout is becoming a Universal network of some kind that it'll lead to new episodes...really, at this late date? Not likely, folks) but is the production office for the movies back open? Also, I wonder if the original poster could edit their post at this late date, since we do have movie 14 now. Another mod could update the OP, since they have that power. Petrie, who was one of the forum's founders, isn't around much anymore, so it would have to be some mod whose more active nowadays, like Rhombus. And we don't know the situation with the offices right now, do we? They did make one new movie, but there's been no word if there will be anything else coming. Sprout (the channel that currently airs the TV series episodes) is being replaced by Universal Kids in September, which might mean that another season of the show could be made to help boost the popularity of the new channel. 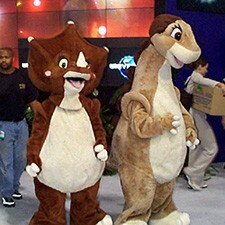 This means that the chance of another season of the Land Before Time TV series is much higher. It would be a good decision anyways. It would really help with starting the channel off strong. What do you think about this? Do you think that we might get another season to be aired on this new channel, or do you think that it won't boost the chances of another season at all? I'm pretty sure that the 14th film was made due to Jurassic World's popularity, so maybe another movie will come out in late 2018 or 2019 after the release of Jurassic World 2.
and hey, wait. Should we post in this thread? I think you can create new one or find similar thread somewhere there. Well we did the same things for the thread "Regarding ANY LBT 14 Topics", and it had like 20 something pages until it was locked when the trailer came out...so maybe we could do it on this thread until there is another season for the TV series. I don't know. There are three things I think about when I see this YouTube channel that uploaded the TV series episodes in 1080p. 1. Could it be an official channel? Who else has access to 1080p feeds? The channel links other official channels as well. 3. The thing I find most interesting about it though is the playlists. There are three playlists. One for every LBT video. One for all of the TV series episodes. And one for...Season 1? Why is there a playlist for season 1? Are they hiding something from us? A very nice find in itself but i doubt it's an official channel. The "about" section says it is a UK channel and the description of LBT refers only to the original film, not the TV series. Also, why would Universal suddenly upload the episodes to Youtube after a long campaign to delete them? Even then, it's nice to see the videos in that quality, at least until they get removed. I was thinking that they gave up on that or something; the amount of uploads was increasing really quickly. Well actually, I feel even more confident that this is official. There's NO way that someone ripped these episodes. They had to be in possession of Universal property; there are no logos on the screen at all. These videos are also getting so many views; there must be somewhere Universal is linking them. The Hidden Canyon alone has over 343,000 views now, and increasing fast. No other video (even the others in rather high quality) got nearly this many for any of the episodes. Also, they're airing the show on Sprout still. It could be that they're deleting other channels that are uploading the episodes to REDIRECT web traffic. It's starting to look official, but this is still confusing to me. Why would Universal put them up on youtupe? They'd make almost no money from it. (From the views the whole channel has gotten so far, they've probably gotten something in the neighborhood of a $1,000 in ad revenue) That'd be nice for one person running a youtube channel, but that's literaly nothing for a huge company like that. surely they'd get more money by putting them up on netflix or Hulu or something similar? unless it's to bring traffic/interest to something else Universal? This is very curious indeed. It looks official, though I had my doubts at first. They seem to be uploading files once a day... and Without any TV watermarks on the episodes. I guess it could be to boost interest, and what is curious is the playlist for "season 1 episodes". Which would seem to imply something else is on the way, as we only have one season thus far, but I fail to see them making much money off of any kind of reboot of the television series, and the last film bombed quite badly due to the Walmart exclusivity deal. Perhaps they are trying to hype dinosaurs in time for Jurassic World 2? I find this to be very interesting...I've been saying that a lot. The episodes are getting tons of views, so if their dinosaur hype is intended it is sure working. And if LBT XV and Season 2 happen after Jurassic World: Fallen Kingdom, you can go ahead and say "Jurassic World revived LBT and is keeping it on life support". Another sequel to Fallen Kingdom is also planned actually. On the topic of 1080p though; the series was NOT built for it. I've found so many animation errors with HD quality it is ridiculous. This is a pretty cool find! If it is official then this seems like a pretty safe way of gauging interest as there isn't a readily proper way of watching these episodes nowadays so they're not really losing out on anything here. The results look promising so far given how recent this is. I'll stay cautiously optimistic on this. I agree it's a lot more apparent. I guess that was one benefit of watching these on sketchy 480p at best videos scattered on Youtube. wow, I have never seen such high quality before. Yeah, I wonder who are those guys who posted that. The Universal Kids website is now up, and look what TV series is there. The Land Before Time, yay! Just scroll down and you'll see it. "The Land Before Time: The Series is a welcome continuation of the much-beloved world made popular by the hugely successful movie franchise. The series features many of the movies’ most popular characters, including Littlefoot, Cera, Ducky, Petrie, Spike, and Chomper in all new adventures in this timeless family classic." I find it odd how it's the only show there that is shown that hasn't aired new episodes in at least 2016. There's also additional evidence for that YT channel uploading the episodes being official...the image they show on the Universal Kids website is the same image used in the outro of the episodes on the YT channel. And I've never seen the image before the YT channel started posting the episodes. I also find it odd how it's titled "The Series". This curiosity is growing on me, it really is, especially after that official YT channel, and seeing that "Season 1" playlist. Feel free to express your thoughts on it showing up on the upcoming channel, Universal Kids' website. I could make this its own topic, if anyone wants me to. That's a great find! I think it's easy to believe that I truly hope this to lead to something but as you said, we can only wait. At least it's good to see that Universal hasn't forgotten LBT after JOTB. As for the picture, I've seen it a long time ago already but that doesn't prove anything against the Youtube channel. Rip Ruby though: she's the only main character not listed in the description. HUH. The interesting thing about this to me is that it's a promotion for "Universal Kids," which appears to be a new TV network going live in September, probably connected to their parent company's recent acquisition of Dreamworks animation (they're certainly making use of those properties). The fact that they've added LBT as part of their opening line-up definitely makes me think it's on the slate for revival. This is looking very optimistic! While the T.V. 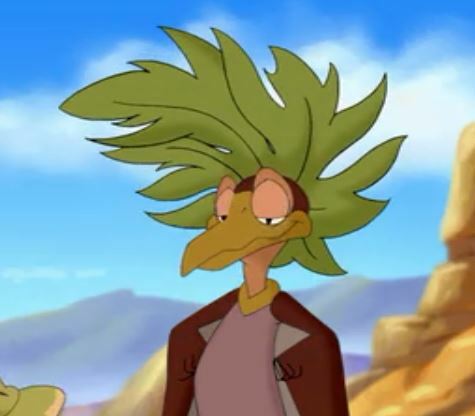 series had a lot of flaws (like when Petrie almost killed his mom and NOBODY CARED) as a whole it added a lot to the lore of the LBT world, and I found most of the episodes a more valuable part of the series than the 13th and 14th movies.